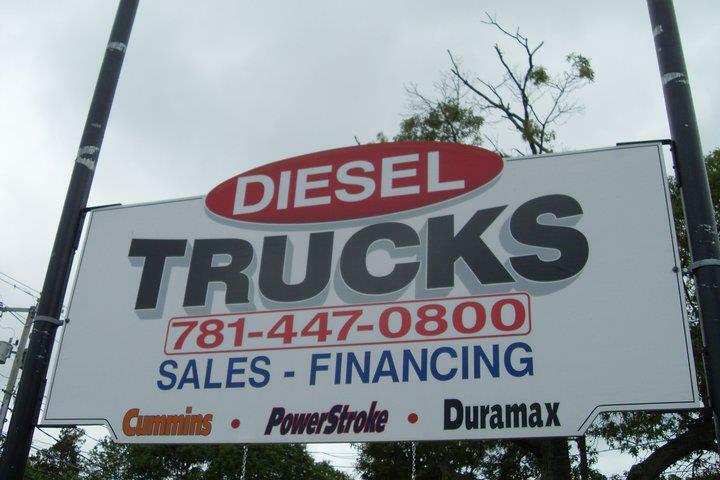 WHITMAN — Vehicle dealer David Federico now faces a solid March 1 deadline to clean up the lot of his 575 Bedford St. Diesel Trucks business or face suspension of his Class II Auto Dealer’s License until he does. The Board of Selectmen voted 4-1 Tuesday, Feb. 9 to support Building Inspector Robert Curran’s recommendation to grant the second extension. Selectmen Dan Salvucci vehemently disagreed. Federico raised the board’s level of frustration by suggesting he should be permitted to store at least 52 vehicles on the lot and that they did not understand the nature of his business and were being unfair to him because he is not a Whitman resident. Selectman Brian Bezanson agreed with Salvucci’s frustration and asked if the board wasn’t being more lenient with Federico than with other dealers in town. In January, Federico had been granted an extension to Feb. 9 after he had reduced the number of vehicles from 65 down to between 48 and 50 and created a handicapped parking space, but more issues — such as a car parked in the loading area — remained, bringing about the extension to Feb. 9. The board had ordered Federico to limit his inventory to 35, be open normal business hours and provide adequate customer and handicapped parking by Jan. 19 or risk revocation of his license. Selectmen Chairman Carl Kowalski suggested endorsing Curran’s recommendation, while requiring a site plan and Curran’s oversight of the improvements. “Mr. Federico ought to understand that March 1 is the dead deadline,” Kowalski said. Curran now suggests 40 is a more realistic vehicle limit for the business and said he would continue working with Federico to develop the best layout for that number. He said March 1 is a workable deadline. He said Federico has a lot of older vehicles with diesel motors in them and said the motors are, more often than not, more valuable than the bodies and Federico markets mostly on the Internet. Inspections over the past week reveal the handicapped parking space is blocked again and the Federico still has the loading area blocked. Snow removal was also an issue. “The vehicles at the rear of the property are kind of three or four deep and they seem to be backed up into the woods,” he said. Federico brought in a plan he said took him eight hours to draw up, but Selectman Lisa Green noted there was no provision within it for the size difference between passenger cars and larger diesel vehicles and trucks. Federico suggested the property owner is ready to litigate against somebody. Selectman Scott Lambiase and Assistant Town Administrator Greg Enos both reminded Federico the license is in his name, not in the property owner’s, and goes with Federico if he moves within town.